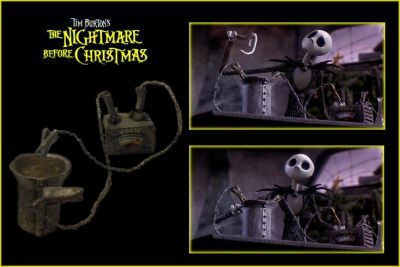 This is Jack's screen used Volt Meter and Bucket from the Tim Burton animated classic "The Nightmare Before Christmas". This volt meter and bucket can be seen when Jack is trying to solve the question of "What is Christmas?" by dunking a candy cane into the electrified bucket of water only to pull the candy cane out as a wet noodle.